Discussion in 'POTW Collaboration' started by Serebii, Feb 17, 2019. Suicune is a marvelous pokémon in the battle spot doubles format. I've been running it with Entrainment Minun to give it Volt Absorb and it's strong. Solid bulk, speed support, decent anti-meta moves like Ice Beam and Scald to cover the likes of Incineroar and Landorus. 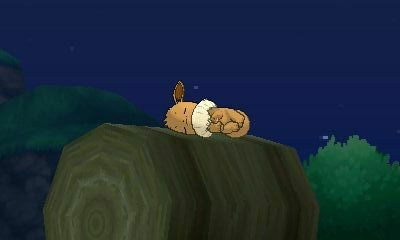 Although Pressure is a bit lackluster, the free battle spot does allow Inner Focus which is quite nice in doubles to avoid flinches from Landorus's Rock Slide or Fake Out from Kangaskhan and Incineroar. Although it seems to have fallen a bit out of grace with Tapu Koko, Kartana, and Tapu Bulu being relatively threatening to it, it can still do its job quite well despite those threats. I've been running this in doubles with Volt Absorb + Entrainment Minun to support it. Inner Focus is not allowed on rated battles as it comes from GSC, but in the free battle spot it allows Suicune to avoid flinching from Fake Out from the likes of Incineroar and Mega Kangaskhan. Even though the lack of Pressure announcing itself should already give away that it's Inner Focus, many people don't make that connection since Suicune isn't all that common. Even though Minun is faster, as long as Suicune had Inner Focus when taking the Fake Out it will still avoid the flinch, even when Suicune no longer has that ability when it is Suicune's turn to move. 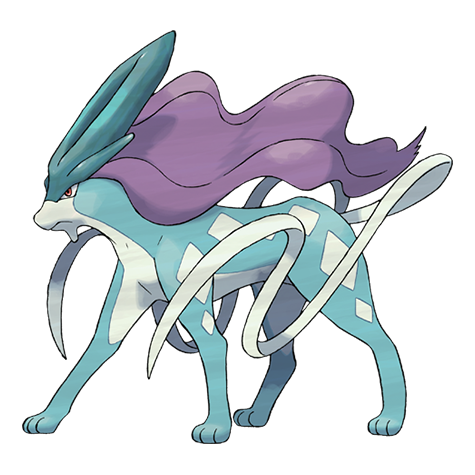 Tailwind allows Suicune to provide very valuable speed support. Since this Suicune is quite bulky and can force switches with Minun next to it (especially with Minun's Encore), it has ample opportunity to set up Calm Mind. It might seem strange to go for Calm Mind set up in doubles, but Suicune can pull it off with Volt Absorb healing, natural bulk, and extra resilience thanks to the Iapapa Berry. Once Minun goes down, bring in a Xurkitree. Xurkitree and a Volt Absorb Suicune that sets up under Tailwind can put an opponent under a lot of offensive pressure that is difficult to wall, with the Electric + Water + Ice combination being almost unresisted in the game. Suicune eliminates the Landorus that is often used as an answer to Xurkitree with Ice Beam, while Xurkitree destroys water types and has insane offensive potential with Beast Boost and Tailwind. This Suicune can't set up on everything, but it can set up on almost anything that lacks strong super effective moves like Tapu Bulu or Kartana. The EV spread can be varied a bit here and there, but the given one gives a good balance between very solid bulk and adequate offensive presence, although Suicune does need a Calm Mind or two to get threatening offensively. Suicune also gets other options for doubles. Snarl is solid support to lower special attack, Icy Wind lowers Speed and unlike Tailwind can be used while under Taunt, Mirror Coat is a neat surprise to electric or grass moves like Grass Knot from Ludicolo, Venusaur, or Greninja, or Solar Beam from Mega Charizard Y. Suicune can also use Protect or set up Reflect, but it has a bit of trouble finding space for it on its moveset. Mist is also an option Suicune gets. Although it is quite match-up dependent and dependent on your team, if you have physical attackers and face someone with several Intimidate pokémon in their team (like Incineroar + Landorus + Mega Salamence) it might be worth investing in it. Mist also blocks stat lowering from moves like Icy Wind, String Shot, Electro Web, Fake Tears, Snarl, and so on, and it can be Z-powered to turn into a full heal for Suicune. But, it is situational and Suicune has trouble finding space for it in its moveset. Suicune having an advantageous match-up against most common Intimidate users also doesn't really increase the need for it. Suicune also has some options for singles. It was decently popular in the recent Simple Symphony competition with a Calm Mind + Rest + Scald + fourth move set, but such a set is already quite commonly known so I don't think it really needs further elaboration here. It also doesn't work quite as well nowadays as it did in RSE due to power creep and Tapu Koko and Tapu Fini throwing around their sleep-depriving terrains, and the Tapus weren't present in Simple Symphony. Background Information - Suicune the sly clever trickster badass, outsmarting Gym Leaders, relating to Janine's troubles, recognizes Misty's mastery over water-type Pokemon and befriended Krys. Suicune has remained one of the most consistently iconic Pokemon of Gen 2, having been given a bigger story role as the mascot of Pokemon Crystal Version. In the anime, Suicune is first seened when Ash & Co. travel to Johto and is later seen in a few more episodes however Suicune's most well-known debuts are the movies, taking a somewhat big role in the Pokemon 4Ever movie featuring Celebi, making an shiny variant appearance in Pokemon: Zoroark Master of Illusions and making a short cameo appearance in Pokemon I Choose You where Verity is just watching in awe. Suicune is a majestic Pokemon but it is also a sly trickster that is hard to catch in the Pokemon Adventures manga featuring it's most important role outside of the games. Suicune lives up to his hard-to-catch nature from the games, continually being followed Eusine while also challenging many of the Gym Leaders of Johto through many tricks such as illusions, speed, mist, yearning for a master. It is here where Suicune relates to Janine's troubles of her father, Koga, gone missing as they part ways like good friends. Later Suicune encounters and recognizes Misty's mastery over water-types and chooses her as his master. Later Suicune chooses Krys surprising her and making Eusine jealous lol in order to stop the dastardly Mask of Ice. So yeah. Suicune is a freaking badass. Yeah... so I'm pretty sure Suicune's preferred playstyle hasn't changed much in this gen. He still pretty much plays as the same consistent tanky scalding annoying Suicune we all know and that's about it. Just a simple RIDE THAT SURF! set. Can anyone guess who says RIDE THAT SURF! from what Pokemon game lol? Suicune is yet another victim of a Hidden Ability replacement, although it at least can still use its standard one quite well thanks to its bulk. I think Inner Focus is still very solid for battle spot doubles with how common Landorus, Kangaskhan, and Incineroar are. Suicune is one of the better answers to Landorus with Ice Beam, flinching immunity to its Rock Slide, and physical bulk that Milotic simply lacks. Whether or not it's better than Water Absorb I'm not sure. I think it depends on your team.